John S. Park has received funding from the MacArthur Foundation and the Stanton Foundation. He is a Senior Advisor at The National Bureau of Asian Research. North Korea’s fifth nuclear test on Sept. 9 sparked a new round of questions about how to contain this rapidly growing threat. Like clockwork, the United States and its northeast Asian allies are already preparing another dose of sanctions. Most U.S. defense experts believe that a military response against North Korea would quickly escalate to open conflict with massive casualties. Instead, the world community has responded to North Korea’s nuclear and missile tests in recent years by constantly tightening economic and political sanctions on Pyongyang. Since North Korea’s first nuclear test in October 2006, the United Nations Security Council has adopted five resolutions designed to deny North Korea access to components for its nuclear and missile programs. But many security experts question whether these sanctions have been effective. In a new study, my MIT colleague Jim Walsh and I examined how what we call North Korea, Inc. – the regime’s network of companies tasked with procurement – has learned to evade sanctions. We interviewed former North Korean business managers now residing in Seoul, South Korea, who bought components for the regime’s nuclear and missile programs. Our findings highlight how increasing the dosage of sanctions has, in practice, triggered the development of alternative, more effective procurement channels. This doesn’t mean we should drop all sanctions. Rather, we need to target them more effectively, based on an improved understanding of how North Korea, Inc. has learned how to evade them. To evade international sanctions, North Korean business managers embed themselves in commercial hubs in China, their country’s largest trading partner, and work with local business middlemen. These middlemen charge their North Korean clients a fee to purchase dual-use technologies – items that can be used for either civilian or military purposes, such as industrial equipment and components. Interviewing former North Korean managers was striking because they made these purchases sound like normal business transactions. They largely spoke about the challenges and opportunities of operating in a particular local market in Asia, much as expatriate businessmen would describe dealing with a regional chamber of commerce. It became clear that the tacit knowledge that resides in these networks was critical to North Korean managers’ effectiveness. As sanctions have become tougher, these local Chinese middlemen have charged higher fees to reflect the elevated risk of doing business with North Korean clients. Instead of hindering procurement activities, we found that sanctions have actually helped to attract more capable middlemen, who are drawn by the larger payday. The North Korean regime has financed the higher fees by drawing on substantial cash reserves that it amassed in accounts on the mainland during a boom in coal trade between North Korea and China in the late 2000s. Despite the expense, North Korean business managers use Chinese middlemen because they have two unique capabilities. First, these brokers have access to a wide array of foreign companies that produce dual-use equipment and industrial goods in China for the growing Chinese market. We found that it is straightforward for a North Korean manager to procure these items by using local Chinese companies. The headquarters of these European companies receive copies of records and certificates which show that their China branches are selling their products to Chinese entities, when, in reality, these goods end up in North Korea. Second, it is relatively easy for these middlemen to deliver goods to North Korea. Using their own networks of logistics companies in China, they can effectively hide these transactions in the open by merging them into China’s enormous flow of domestic commerce. The scale of this flow essentially makes searching for North Korea-bound consignments like looking for needles in a haystack. Analyzing North Korean nuclear and missile procurement as a business case study helped us to highlight the security implications of these commercial networks. Importantly, we also identified ways in which the United States may be able to work with China to counter North Korea, Inc.
Like the United States, South Korea and Japan, China is also concerned about the rapid advances that North Korea is making in its nuclear and ballistic missile programs. However, Chinese leaders also fear that imposing more stringent sanctions could cause North Korea’s economy to collapse, producing refugee flows and instability. Instead they are using domestic laws to try to halt illicit trade in weapons components. As an example, in 2013 a group of Chinese ministries and agencies issued Technical Bulletin #59, a 236-page report listing dual-use items that Chinese nationals were prohibited from selling to North Koreans. This step alone clearly did not stem the flow of goods, since North Korea subsequently tested more advanced nuclear weapons and missiles. Nonetheless, this initiative signaled Chinese leaders’ intent to curb illicit trade with North Korea, and could serve as a rare building block for cooperation with the United States. We believe that states act to protect their national interests, and that Beijing, Seoul, Washington and Tokyo have a shared national interest in stopping North Korea, Inc. Their very public disagreements have focused on how to achieve this goal. In our study we identified opportunities for U.S. and South Korean export control bodies and law enforcement agencies to cooperate discreetly with their Chinese counterparts to improve the use of Chinese domestic laws to curtail North Korea, Inc.’s illicit procurement activities in the Chinese market. The United States and South Korea could share commercial intelligence on elite North Korean business managers’ dealings with private Chinese middlemen. Doing so could help China disrupt North Korea’s procurement activities by breaking apart this commercial partnership upstream – that is, before illicit goods are transacted and make the journey to North Korea. We see two particular opportunities to disrupt North Korea, Inc.
First, most North Korean trade managers are dually appointed as diplomats, which enables them to embed in these commercial hubs for years at a time and develop local market acumen. Gathering evidence showing that North Korean managers are abusing their diplomatic privileges and providing the evidence to Chinese authorities would give China grounds for expelling these illicit commercial agents. Expelling them would cause protracted delays in North Korea’s procurement efforts while their replacements create new commercial channels. Second, we should work to persuade Beijing to target Chinese middlemen who work with North Korean procurement agents through the Chinese government’s existing anti-corruption apparatus. This agency, which China’s current ruler Xi Jinping has been using to consolidate power, is a formidable instrument. Most of these Chinese middlemen are closely associated with corrupt local Communist Party officials. Focusing this domestic policy tool on the Chinese segment of North Korea’s illicit procurement partnerships could be an effective way to halt the flow of sensitive goods into the North. As the intervals between Pyongyang’s nuclear and ballistic missile tests shrink from years to months, it becomes increasingly urgent to find ways of making sanctions on North Korea more effective. North Korea’s nuclear and missile capabilities have significantly improved over the past decade, even as the global community has applied round after round of targeted sanctions in an effort to prevent it from acquiring sensitive components. As my colleague Jim Walsh likes to point out, the horse has escaped the barn but hasn’t jumped over the fence yet. 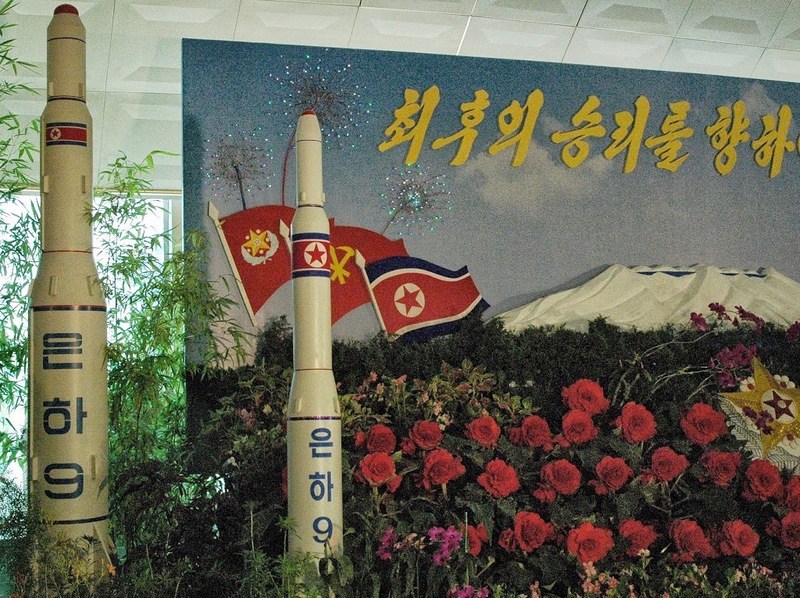 North Korea’s goal is to miniaturize nuclear warheads and place them atop proven ballistic missiles, but it is probably still a few years from doing so. We have an opportunity now to achieve a different outcome. We can counter innovations in the North Korean regime’s procurement practices with innovative measures to disrupt North Korea, Inc., centering on real cooperation with China.